Goddess – A goddess is a female deity. In some cultures, goddesses are associated with Earth, motherhood, love, and the household. In other cultures, goddesses also rule over war, death, and destruction as well as healing. The Goddess if symbolic of regenerative, creative and life-giving energies of the universe. The goddess is the keeper of wisdom, she is the spirit of both Earth and the heavens. In ancient times the Goddess was a sacred symbol in many regions. Equal Armed Cross – The Equal-Armed Cross, also referred to as the square cross, the balanced cross, and the peaceful cross is a name for the Greek Cross when this is found in ancient cultures, predating Christianity. The equal armed cross was well known as a sacred symbol. It is often interpreted as representing either the four seasons, four winds, four elements, or some other aspect of physical nature. An equal-armed cross (often within a circle) represents the planet Earth in traditional astrological-astronomical symbols. The cross could also be used to represent the natural union between male and female. The Christian cross, seen as a representation of the instrument of the crucifixion of Jesus Christ, is the best-known religious symbol of Christianity. It is related to the crucifix (a cross that includes a usually three-dimensional representation of Jesus’ body) and to the more general family of cross symbols. The Cat – Cats, known in Ancient Egypt as the Mau, were sacred and very important in ancient Egyptian society. Beginning as a wild, untamed species, cats were useful for limiting vermin in Egyptian crops and harvests; through exposure, cats became domesticated and learned to coexist with humans. The people in what would later be Upper and Lower Egypt had a religion centering around the worship of animals, including cats. Praised for controlling vermin and its ability to kill snakes such as cobras, the domesticated cat became a symbol of grace and poise. The goddess Mafdet, the deification of justice and execution, was a lion-headed goddess. The cat goddess Bast (also known as Bastet) eventually replaced the cult of Mafdet, and Bast’s image softened over time and she became the deity representing protection, fertility, and motherhood. Crucifix – cross with a representation of Jesus’ body hanging from it. It is primarily used in Catholic, Anglican, Lutheran, and Eastern Orthodox churches (where the figure is painted), and it emphasizes Christ’s sacrifice – his death by crucifixion. The crucifix is still sacred today as it was in ancient times. 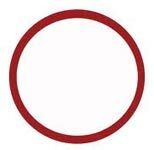 Circle – An ancient and universal symbol of unity, sacred-ness, wholeness, infinity, the goddess, female power, and the sun. To earth-centered religions throughout history as well as to many contemporary pagans, it represents the feminine spirit or force, the cosmos or a spiritualized Mother Earth, and a sacred space. The Ankh appears frequently in Egyptian tomb paintings and other art, often at the fingertips of a god or goddess in images that represent the deities of the afterlife conferring the gift of life on the dead person’s mummy; this is thought to symbolize the act of conception. The ankh was one of the Egyptians`most sacred symbols. 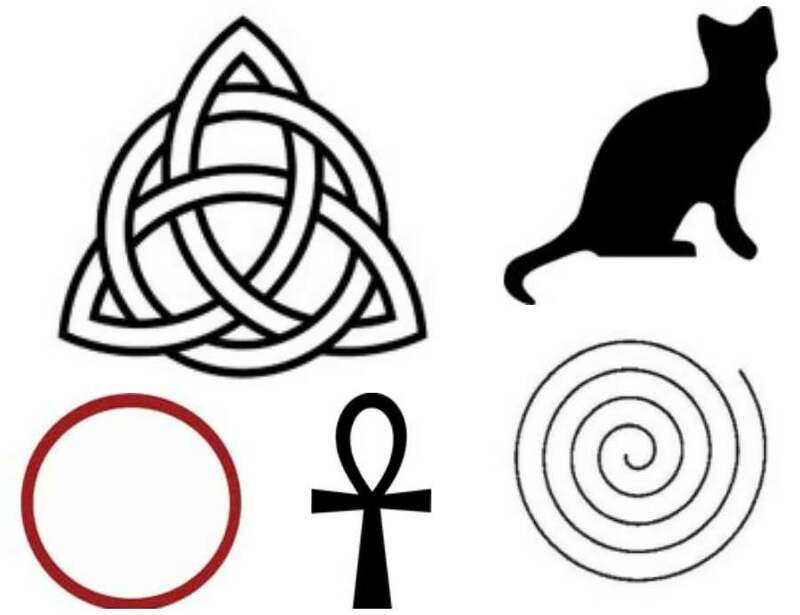 Additionally, an ankh was often carried by Egyptians as an amulet, either alone, or in connection with two other hieroglyphs that mean “strength” and “health”. Mirrors of beaten metal were also often made in the shape of an ankh, either for decorative reasons or to symbolize a perceived view into another world. The Celtic Trinity knot is also known by the name, ‘Triquetra’. The triquetra was considered sacred by the Celts. 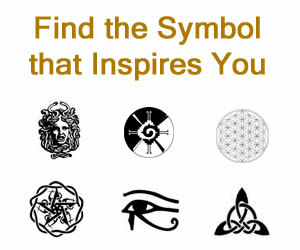 There are many different views/opinions about the meaning of the Trinity Celtic symbol. 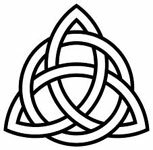 As per the early Christians, Celtic Trinity knot is associated with or viewed as the Father, Son, and Holy Spirit. The trinity knot is seen by those who believe in paganism as a symbol of Mother, Crone, and Maiden.